The Pill is not just contraception anymore. It has become standard treatment for everything from acne to endometriosis to irregular periods. Yes, hormonal birth control can mask symptoms, but it cannot “regulate” hormones or periods in any meaningful way. 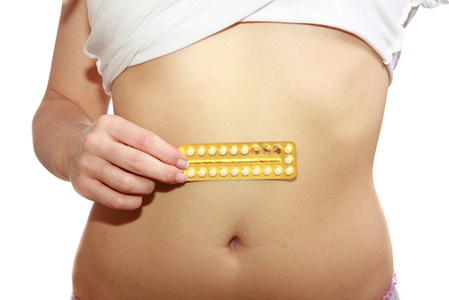 Hormonal birth control does not augment or regulate hormones. Instead, it suppresses ovarian function and shuts down hormones completely. It replaces endogenous hormones with synthetic steroids, and that’s not good enough for women’s health. Real hormones have many benefits for health that synthetic steroids simply cannot deliver. Our real endogenous hormones are estradiol and progesterone. In contrast, synthetic steroids are ethinylestradiol, levonorgestrel, drospirenone, and many others. Real hormones and synthetic steroids are similar molecules, but they’re not identical and as a consequence, synthetic steroid have many different effects on the body, some of which we are only now beginning to understand. For example, estradiol improves insulin sensitivity. Its synthetic counterpart ethinylestradiol impairs insulin sensitivity  (which is one of the ways the Pill causes weight gain). 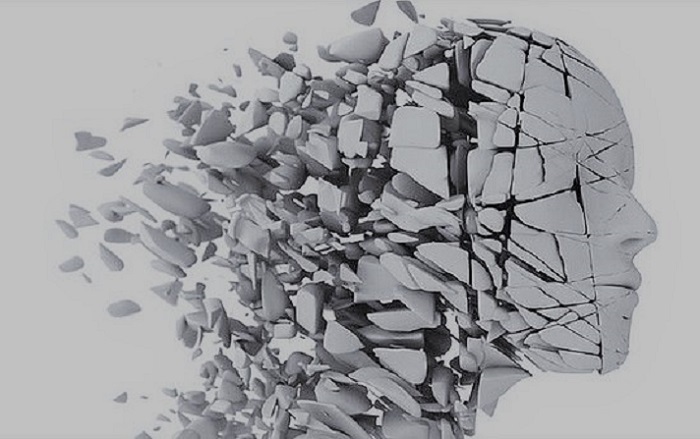 Progesterone is beneficial for hair, brain health, and bone density, but its synthetic analogues levonorgestrel, drospirenone, and medroxyprogesterone have quite different effects. They cause hair loss, depression , and reduced bone density. Moreover, the drospirenone progestin found in the Yaz, Yasmin and Ocella series of birth control pills, increases the risk of heart attack and stroke six fold. Its modified shape blocks what are called the mineralocorticoid receptors. These receptors are responsible for salt and water balance (think swelling) and blood pressure. The only way that ethinylestradiol and progestins are similar to real hormones is that they induce a uterine bleed. They can even induce it monthly, but only if they’re dispensed that way. Who really cares about a bleed for its own sake? If women can’t have real hormones, then why have a monthly bleed at all? It is merely to give the appearance of a period, and reassure women that they’ve had a period (when they haven’t). A bleed does prevent excess build-up of the uterine lining, but it does not have to be monthly. It can be quarterly or yearly or any time we withdraw from the synthetic steroids. Regardless of when we choose to bleed, the pill bleed is not the same as menstruation. Remember, the purpose of oral contraceptives is to block ovulation and prevent pregnancy. Without ovulation, our bodies do not produce endogenous hormones. Indeed, as any woman who has gone off of the pill after a long period of usage will tell you, it takes some time for ovulation and hormone production to begin again. Interestingly, the “regulation” of periods was the Pill’s earliest cover story. When the Pill was first developed, it could not be sold as contraception because contraception was not legal. Instead, the Pill was ostensibly prescribed to “normalize” periods. “Normalize” was a quaint euphemism which really just meant to be “not pregnant” (wink-wink). Five decades later, and the Pill’s early cover story has now taken hold as a kind of weird counterfeit reality. Doctors readily prescribe oral contraceptives for all manner of female reproductive disorders, the most common of which is to ‘normalize’ the menstrual cycle. What they, and most women, fail to realize is that the monthly bleed precipitated by the withdrawal of synthetic steroids, is not a real period. It is simply a withdrawal bleed. It’s time to end it. It’s time to bring back real periods. As a naturopathic doctor working in women’s health for twenty years, I want my patients to have real periods. More precisely, I want them to have a follicular phase and make estradiol. I want them to ovulate, so they can then have a luteal phase and make progesterone. In short, I want my patients to make real hormones and to enjoy their many benefits. There’s another reason I want my patients to have real periods. A healthy, regular period tells me that all is well with her underlying health. If a woman does not have healthy periods, then I keep working with her until she does. We use her period as a helpful, useful marker guiding her health decisions. We think of it as her monthly report card. It’s not always easy to restore healthy periods, but it can be done. But with a little perseverance, natural treatments such as diet, supplement and herbs work well, and they give women what they deserve: A real period rather than a pharmaceutically induced bleed. 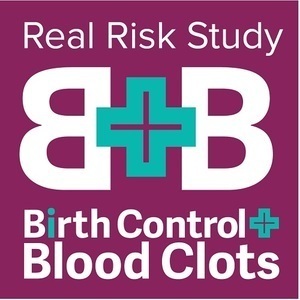 Lucine Health Sciences and Hormones Matter are conducting research to investigate the relationship between hormonal birth control and blood clots. If you or a loved one have suffered from a blood clot while using hormonal birth control, please consider participating. We are also looking for participants who have been using hormonal birth control for at least one year and have NOT had a blood clot, as well as women who have NEVER used hormonal birth control. For more information or to participate, click here. 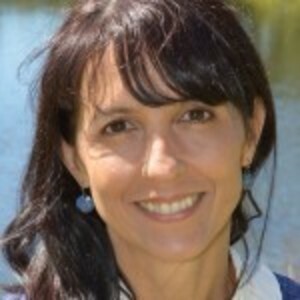 Lara Briden is a naturopathic doctor with twenty years experience in women's health. She runs a hormone clinic in Sydney, Australia, and is the author of Period Repair Manual: Natural Treatment for Better Hormones and Better Periods. 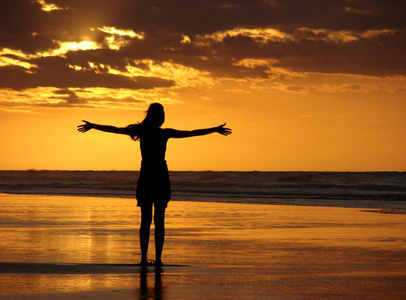 For more information, check out Lara Briden's Healthy Hormone Blog. How Do You Deal with the Lasting Effects of Endometriosis? You should go to a doctor that prescribes bioidentical horomones. Pills are not a good way to get bioidentical horomones because they’re unstable in hydrocloric acid. The best ways to take them is by injection or transdermalally or with a pellet implant. I self inject myself with estradiol valerate (I’m gender dysphoric). When I first went on estrogens I used pills. I experienced pain in my legs when I was on ethinyl estradiol. I was probably developing blood clots in my legs. You can read more in the “Pros and Cons of Mirena” post on my blog. If you want patients off of hormonal BC what other relaible options are there? I have a metal sensitivity so I can’t use a copper IUD, I have tried Minena twice and had my body rejected it, and because of general skin sensitivities condoms are also an issue. I would love to be off hormonal BC but I can’t seem to find a workable alternative. I’m a pretty big fan of the Daysy contraceptive device, and also other methods of Fertility Awareness Method. Also, there is a new diaphragm on the market, and also the cervical cap. I’m hopeful that Vasalgel for men will soon be approved. Greetings! I am 29 and I have been on generic Orthotrcyclin ever since I started having periods when I was 14. I’m anxious to get off the pill simply because I’ve been on it for so long! What types of side effects could I potentially have? Thank you very much!! I am 31, I am 5’3″ and wight 132lbs. I work out 4 days a week for an hour and I eat well so far. BUT I’ve been on so many birth control since the age of 16teen. I think I’ve done some serious damage to me health now and fear whats to come as I age. Although I do want to have children but just not now. Maybe in the next 2-3years from now. Luckily I’ve been in a serious relationship for the past 11 years w my spouse. So my first birth control ever taken was Depo-Provera for about a year, then I was on Ortho-trycyclen for 3 years or so, up until I got pregnant and had a miscarriage at 20 or so and was given the copper IUD. I must of gotten some sort of reaction to it within a year of use, since I will break out in hives especially in my face and was removed by a doctor. Then once more prescribed on Ortho pill, till my doc. notice that I had high cholesterol and prescribed ORTHO-LOW (was on it for about two years) Then I was prescribed Yaz since I was irregular with my menstruation and had some breakouts. I stuck with Yaz for many years, as it made my skin clear for many years but suddenly I was breaking out again. So I tried the NUVA RING for 6 months but I didn’t like it, cause it made me gain weight. I got off of it and back to YAZ. But for the past two years I’ve been battling adult acne,(MY Skin seems to be sensitive to everything, including Make-up) I got blood tests done, paps and doctor said everything was normal then. Within the last 9 months I switched to Ocella since its way more affordable. Just recently my skin has been clear in a long time. Not sure if it has to do with the switch of BC Occella or the topical clindamicin and RETINA I’ve been using for the past 6 months. SO now I go for my annual check up and my cholesterol level are a tad high by 234, witch is 35 points above the normal range, but my doctor assures me I’ll be ok and to make modifications to my diet as I have before when this has occurred prior. But know I am extremely concerned since my blood Cortisol Levels her also a tad high at 26.3 mcg/dL. ANd my doctor wants to do another blood or urine test. I am now worried I have caused havoc to my body, and my question is can the birth Control OCELLA contribute to my cholesterol and Cortisol levels? And what can I do to improve it? and re their other BC alternatives that would be good for me? A single number doesn’t tell you much about cholesterol. If total cholesterol is 234 mg/dl and your HDL is also high then there is nothing wrong with your total cholesterol. I read that oxidized LDL the most damaging form of cholesterol. The size of the cholesterol particals is also important. I am 28. I started my period when I was 12. They never quite regulated themselves. They never completely went away either. I got one say every 2 months or so. They varied in intensity. My doctor has prescribed the Nuva ring for me. I am trying it out. On month 3 of it. She thinks that I have PCOS. I have a bit of belly fat (it’s where i hold most of my weight) and a bit of chin hair. The occasional pimple. She put me on the nuvaring to reglulate me. But i’m learning that the bleed from HBC is not a real period. I would like a real period. AND a way to preserve my reproductive organs. I do want a baby in the future. Where do I start with figuring out how to regulate my period on my own? Hi Mimi, Nuvaring is a particularly dangerous form of birth control. We have a number of personal stories regarding the development of blood clots while using the Nuvaring. Please read the stories on our blog about the Nuvaring and do some internet searches before deciding to continue with it. As to how regulate your period naturally, Lara has a website and a book that is quite helpful (scroll down to the bottom of the article for links). Dr. Kelly Brogan’s site is also a good resource for this. Inevitably, it comes down mostly to diet; correcting nutrient deficiencies and removing toxins and other exposures that create problems with reproductive health. Hi Sharon, I talk at some length about teenage heavy periods in my book Period Repair Manual. They respond very well to simple, safe treatments such as iron, turmeric, and reducing dairy products in the diet. Hi my daughter is almost 16 and she has had her periods since 11. They are regular but long and heavy often affecting her day to day activities. The doctor has prescribed the pill but both her and I feel uncomfortable about this. Any suggestions? Tranexamic acid prescribed by a gynecologist or Mirena are first-line treatments. Check for family history of bleeding disorders (iron and cutting dairy won’t fix that). Hi Ursula, Really good question about the Mirena IUD. It is an intrauterine device that delivers levonorgestrel locally to the uterus. It does have some of the same side effects as pill-levonorgestrel (including hair loss), but in my view, Mirena also has one advantage (compared to the Pill). It does not set out to suppress ovulation, so it does permit some normal cycling of endogenous hormones. Unfortunately, it doesinadvertently suppress ovulation about 50% of the time. Hi there! I have a question about this article and pill bleeds. Does it also refer to the Merina IUD? I’ve had one for about eight years now and haven’t really had a full period in quite a while now. Am I doing myself a disservice? Have I done any damage by your opinion? Of course there are situations where the Pill can offer genuine relief from debilitating symptoms such as heavy periods. I discuss this in my book, and I discuss another medical option: the hormonal IUD Mirena. Hi Ana, a girl that young has probably not ovulated yet,and that’s why she’s having such funny bleeds. It should improve on its own as soon as she ovulates. She’ll need good nutritional status to do that (enough food including fat, protein, starch, and enough zinc, for example). It’s worth seeing a doctor to get her zinc and iron levels checked. I’d like to hear the good doctor’s opinion on massive fibroids. B/c, vitamin A, and Cod Liver Oil are the only relief I’ve found from months of constant, heavy bleeding. Not just any pill either. I’ve tried probably a dozen different pills and only one so far, works for me. I have 12 y.o. girl. She started having her periods about a year ago. She has it one in two or three months and bleeds for 10-14days. Should i wait or treat it now? What are the remedies aside of the pill?